Holidays on La Palma? We are more than just a car rental! 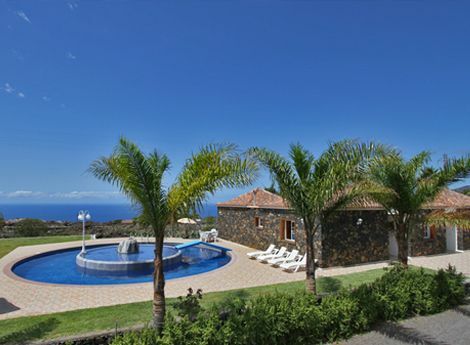 We can offer you the right rental car for your vacation on La Palma. Competent employees will advise you in three languages by phone or in our live chat. Satisfied regular customers appreciate our fair prices for optimally maintained and clean rental cars. With us you do not run into a costs trap. In the event of a breakdown or accident, we will be there for you 24 hours a day. Just call our emergency number and our team will assist you. Our recipe of success is no secret - we will tell you why so many vacationers trust us again and again. Our success is your holiday pleasure. Where can I pick-up and return the car? You can pick-up and return the car directly at the airport Santa Cruz de La Palma (SPC). This service is for our clients included in the rental price. Of course the pick-up is also possible in our office, at your holiday accommodation or on a different place. La Palma 24 clients can choose between the half-half and full-empty service. With the half-half regulation, you will get a rental car with at least half full tank and return it with the same amount of fuel. How ist he car insured and what additional insurance options are available? Included in the rent is a legal liability (the damage of third parties) in the amount of 50 million euro with full comprehensive cover CDW (Car Damage Waiver) - if required also with exempt from excess. You will find all the details regarding the conclusion of supplemental insurance due the time of your booking. With our 'direct booking tariff' you pay the rental car while booking with your credit card. If you choose the tariff 'payment upon arrival', you pay the rental car during the pick-up in cash or by credit card. Of course it is also possible to transfer the amount in advance to our Spanish business account.